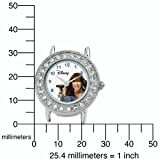 Let your child’s inner rock star come out with this Disney Kids’ Camp Rock Mitchie Watch. 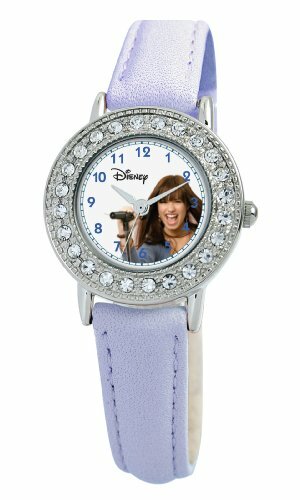 Mitchie overcame odds to show off her great talents, and your singer can show off this fun-to-wear watch to other fans of Camp Rock. 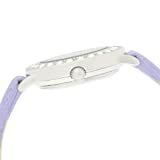 Shimmering rhinestones adorn the round, metal bezel, creating an elegant, grown-up look. The white dial features easy-to-read, blue, Arabic hour markers, and a blue, outside, minute track. 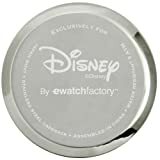 The silver tone, minute, hour and second hands shine alongside the silver tone of the metal case. 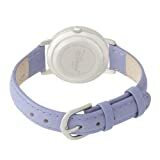 Mitchie is front and center, singing into her microphone, and the light purple, leather strap with detail stitching fastens with a secure buckle. This singer’s watch is water resistant to 99 feet (30 meters).